There are certain testosterone deficiency treatment guidelines that need to be followed in order for a person to have a safe, legal and effective testosterone replacement therapy (TRT) experience. The protocol to get legal testosterone injections has been set up by the U.S. government and these guidelines are what all patients and professionals must follow. The above 8 steps are the guidelines that have been devised by the U.S. government to avoid illegal and unsafe usage of testosterone medications. Testosterone injections must be prescribed by a licensed doctor after testing takes place and a diagnosis is made. Below are more details about the 8 steps above that need to be completed before treatment for testosterone deficiency can begin. 1. 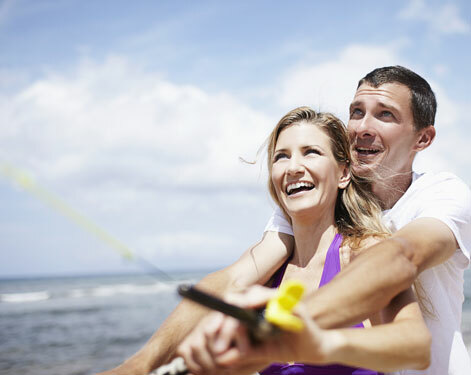 Contact the testosterone replacement therapy clinic of your choice and consult with an expert clinical advisor. This first consultation should always be free of charge. 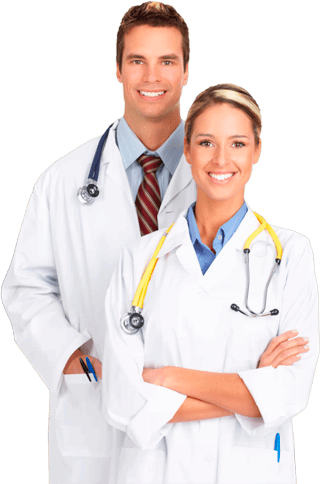 The way to find a reputable and well known clinic that provides treatment for testosterone deficiency is to do your research online and/or get a referral from a professional. Clinics that offer testimonials and/or reviews from past clients are beneficial to learn about the center and others’ experiences. A TRT clinic should offer everything listed in the above chart in order to ensure safe and legal therapy. To get in touch with an expert clinical advisor, a clinic should offer an online contact form for a prospective patient to fill out. Then, the advisor will make a phone call to the prospective patient at that patient’s convenience. During this conversation, the patient should ask all of his or her questions regarding testosterone deficiency treatment options or anything else that they would like to know. Feel free to inquire about all aspects of TRT until you feel completely comfortable to move to the next step. The next step is to get tested for a testosterone deficiency. Your clinical advisor will set you up with an appointment at a local LabCorp to where you live for a simple blood test. You do not have to prepare in any way for this test; by fasting, for instance. Your blood is taken from your arm just like it would be at a routine medical exam. You will be required to get a medical exam completed either by your own physician or one that your advisor chooses for you. Lastly, you will need to fill out the online medical history form on our website. You send it in to us through a secured connection and it remains completely confidential; as all of your information will. 3. Our licensed doctor will analyze all of your medical information. It is important for you to be completely honest and open when you share your medical information. The more data that the doctor has about your past and present medical condition(s), he or she will be better apt to diagnose and prescribe the right pituitary gland testosterone deficiency treatment for you. The doctor will read your blood work results and know if you have low T. He or she will examine all the medical information to determine if you are in good enough health to gain great results from TRT. The next step after all medical information is reviewed is for the licensed doctor to make a diagnosis of a testosterone deficiency or low T. Without this diagnosis, a person cannot get a legal prescription for testosterone injections, cream, jelly or gel. After the diagnosis is made, a person will then get a prescription written and an individualized treatment plan written for exactly what they need for their testosterone deficiency treatment. It is the patient’s responsibility to follow the instructions on the treatment plan and prescription exactly as the doctor has written them. All testosterone medications and supplies will be shipped to the patient’s home or office. The shipping is quick and discreet. As soon as the testosterone medication is shipped to the patient’s home or office, he or she may start with the self administration process. Clinical advisors are available during normal business hours to assist with the process via phone or email if a patient needs help. Medical supervision must always be provided for patients who are using testosterone medication. The medical monitoring must be done throughout therapy by a licensed doctor. A doctor will prescribe the type of testosterone medication that he or she feels will give the patient the safest and most effective change possible. Doctors can also change dosages of medication during treatment if the patient is experiencing any negative side effects or is not getting desired results. This is why medical supervision is always required during male or female testosterone deficiency treatment. Intramuscular injections with bio-identical testosterone medication is considered to give a man natural treatment for a testosterone deficiency. The medication that is used is identical to what the body already produces and this is why when given at just the right dosage, the body welcomes the medication into the body. Problems usually only arise when medication is being self-prescribed (abused or misused). Testosterone injections are only to be used for a testosterone deficiency that has been diagnosed by a licensed doctor. What can be said by most professionals with confidence is that natural supplements do not have any effect on a testosterone deficiency. Testosterone replacement therapy with prescribed injections can decrease or completely eliminate symptoms from the testosterone deficiency, according to some of the most prestigious medical sources. Treatment with injections must be prescribed and medically supervised. For more information on testosterone deficiency treatment, please send us your information on our online contact form. Our clinical advisors are experts in testosterone treatment and will answer all of your questions about the process and how to get started.